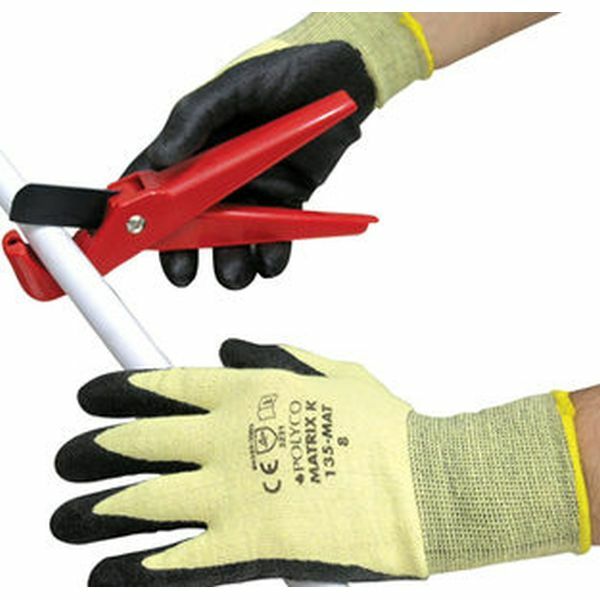 The Polyco Matrix K Kevlar and Lycra Cut Resistant Gloves are versatile work gloves often used in construction, automotive manufacture and engineering. 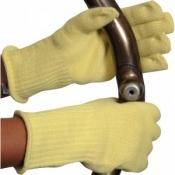 The Polyco Matrix K Kevlar and Lycra Cut Resistant Gloves are made from a blend of Kevlar and Lycra with bi-polymer palm coating making them very strong and durable. 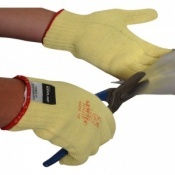 The Polyco Matrix K Kevlar and Lycra Cut Resistant Gloves provide a close fit giving excellent dexterity. The breathable, seamless liner combined with the knitted wrist offer greater comfort and flexibility. The Matrix K Gloves are a comfortable and flexible, high grip, high dexterity work glove suitable for various industries and environments. They are suitable for indoor environments in mainly dry, clean or dirty conditions and are designed to repel oil and grease. Please see the following list of typical usages below, please be aware this is just a guide and it is the users responsibility to determine the suitability of the product to a task. The Materials - The Polyco Matrix K Kevlar and Lycra Cut Resistant Gloves are engineered and made with a blend of Kevlar and Lycra and have a bi-polymer palm coating which provides good grip and protection. 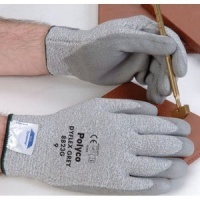 Grip - The Polyco Matrix K Gloves have excellent grip, the palm coating is soft and durable layer which offers excellent grip in wet and dry conditions which makes this glvoe ideal for general handling of products and due to its close fit and dexterous nature ideal for engineering and manufacture. 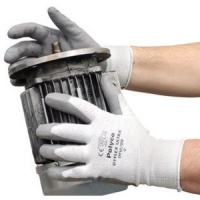 Testing - The Polyco Matrix K Gloves are a Certified Safety Glove, scoring a 3231 in testing. 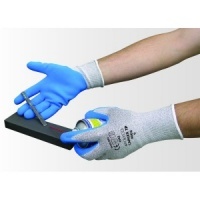 The gloves perform well according to CE standards in most hazard tests. See below for a breakdown of this testing. 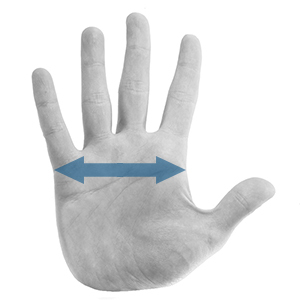 The Polyco Matrix K Gloves are designed to be worn as a single glove solution but can be worn as a glove liner if the user deems it necessary. These gloves do exactly what I want from them.